No time to read? Share and Pin for later! I may receive a commission if you purchase through links on this page. If you haven’t tried my Chocolate Maple Fudge recipe, please check it out. You know those pesky chocolate cravings you get every now and then? I keep this fudge on hand in the freezer for when my cravings get tough to ignore. The fudge has coconut oil, butter, real cocoa powder, and maple syrup to calm your cravings and give you a boost of healthy fats. Your brain and body will thank you for eating it. This is how I get a real food dinner on the table on even the busiest evenings. It’s all about planning, baby. Check it out! Allison is a work-at-home, homeschooling mom of three sons. By sharing information about her passions (parenting, homeschooling, natural living, and real food) Allison encourages and inspires other moms to live and parent intentionally. Join Our Small Hours On Instagram! Hey, busy mama! Wanna know how I save up to FIVE hours per day? Get my free mini ebook sent straight to your email. Yes! Tell me your secrets! Our Small Hours is a participant in the Amazon Services LLC Associates Program, an affiliate advertising program designed to provide a means for sites to earn advertising fees by advertising and linking to amazon.com. Get my FREE 14-Week Real Food Meal Plans! 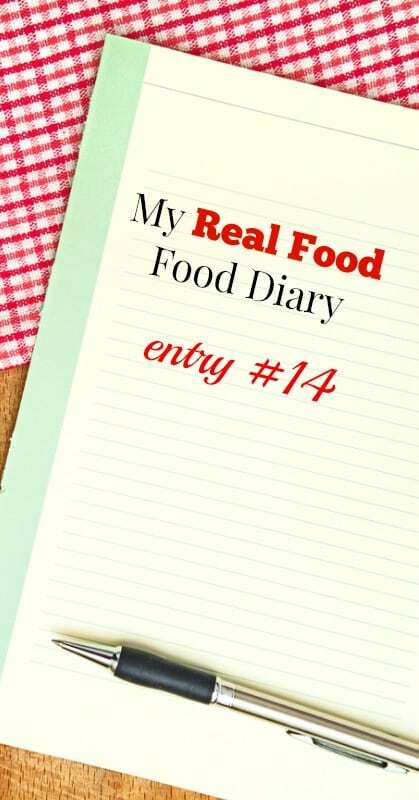 294 carefully curated and planned REAL FOOD recipes. Make meal planning easy and delicious!